educate, inspire, challenge, and move you to action. Film screening and panel discussion. Women are the fastest-growing U.S. prison population today. Eighty percent are mothers of school-age children. Jenifer McShane's absorbing documentary gives human dimensions to these rarely reported statistics, taking us inside Bedford Hills Correctional Facility, a maximum security prison north of New York City. 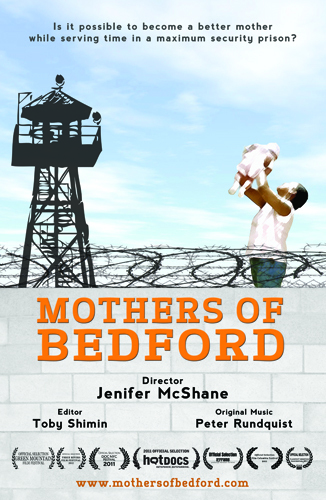 Shot over four years, MOTHERS OF BEDFORD follows five women - of diverse backgrounds and incarcerated for different reasons- in dual struggles to be engaged in their children's lives and become their better selves. It shows how long-term sentences affect mother-child relationships and how Bedford's innovative Children's Center helps women maintain and improve bonds with children and adult relatives awaiting their return. Whether it be parenting's normal frustrations to celebrating a special day, from both inside and out of the prison walls, this moving film provides unprecedented access to a little known, rarely shown, community of women. Vicki Sirockman currently works as a consultant for the MAYA Organization, a Pittsburgh based nonprofit that provides prenatal and postnatal counseling, education and support to women in the local community and in the Allegheny County Jail. She has also served as the executive director of Lydia's Place, Inc. and Healthy Start, Inc. as well as the past coordinator of the ACLU of Pennsylvania's Incarcerated Women's Project. While at Lydia's Place Vicki worked closely with the Women and Girls Foundation to lead an effort to end the shackling of incarcerated, pregnant women in Allegheny County. This effort dovetailed into a later effort by the ACLU that resulted in the passage of legislation in 2010 which outlawed the shackling of incarcerated, pregnant women throughout the State of Pennsylvania. Vicki's educational background includes a Masters degree in Public Health from Pitt. Her 40 year career includes past work in the child welfare, adoption, family planning, and maternal and child health fields. Fred Hill has been the Family Engagement Specialist with Amachi Pittsburgh for 5 years, working with parents and children of the incarcerated through the Strong African American Families Program (SAAF). He also works with inmates in four state correctional institutions preparing them for re-entry through a 24/7 dad Life Skills class. He is a husband and father of five.